Old map by HAAS - Africa Secundum legitimas Projectionis Sterographicae regulas. . . Publisher: HAAS, J.M. / HOMANN HEIRS. 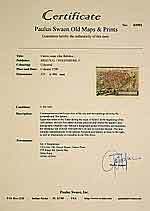 Title: Africa Secundum legitimas Projectionis Sterographicae regulas. . . Size: 18.1 x 21.9 inches. Condition: In good condition. With a centrefold, on watermarked paper, lightly age toned, the odd ink mark, and some black paper residue stuck to verso. Good margins, slightly weak impression, through plate wear. 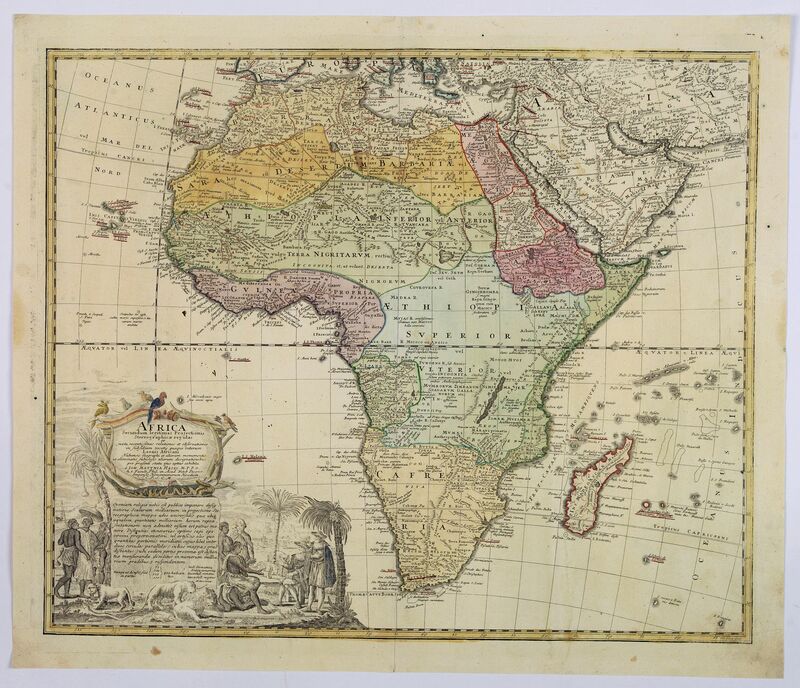 Johann Matthias Haas's revision J.B. Homann's 1715 map of Africa, augmented to include important cartographic developments as recorded by Guillaume Delisle and D'Anville. The map represents quite an accurate picture, without many of the fictitious lakes and rivers of previous works, and focusing on the known coastal regions of the continent, thus leaving the interior blank or simply marked 'Terra Incognito'. Egypt, Nubia and Abyssinia are shown as distinct entities, Lake Nyasa is shown as Lac Marawi, and the Congo is located. The Dutch settlements of Castell Batov and Stellenbosch are shown at the Cape. The most striking feature of the map is the large title cartouche that is framed by elephant tusks and a horned serpent. In the foreground is a scene of natives negotiating with European traders, surrounded by indigenous animals. In the background is a view of Table Bay and Table Mountain. Many islands are underlined in a contemporary hand.